As you probably know, last summer I ran away to France for a year to complete an internship in Lyon. If you want to read all of my French posts you can click here! If you want to read my perspective on expat live, living as an intern in Lyon you can click here! I will try to group these ideas into categories to made it a little easier to read. Have you visited Lyon before? Let me know what you thought of my "home away from home"in the comments down below! Lyon's international airport is really well connected (so is Lyon in general), there is a lot of airline options and even some budget ones. BUT be prepared to walk if you using the cheap ones- terminal 3 is a bit of a step. Good news for fellow Scots- direct flight from Edinburgh! It's an easy train ride on the Rhone Express to get into the centre of Lyon, although it's a little expensive at the 20EUR mark. The Rhone Express gets you into Part Dieu, the main train station to the East of the city. From there it is really easy to navigate yourself around the city. TOP TIP - If you want to get a taxi anywhere walk past the taxi rank at the Rhone Express, walk through the train station to the bus stops and the mall on the other side and get a taxi from the rank there. Because of Lyon's location it is really well connected on other forms of transport too. Any other type of transport will bring you either into Part Dieu in the East or Perrache in the Presqu'ile. Lyon is generally considered either the 2nd or the 3rd city of France. There are two rivers (the Rhone and the Saone) which split Lyon, they join to the south of the centre and form a peninsula-like part of the city - the Presqu'ile. The Presqu'ile is the centre of the city and is home to the 1st, 2nd and 4th districts. To the west of the Saone is the 5th (where I used to live) and the 9th districts. To the east of the Rhone is the 6th, 3rd, 7th and the 8th is to the east of the 7th again. Lyon is also surrounded by a couple of other cities/towns which have started to amalgamate together. Public transport around Lyon is easy and pretty cheap. It is really easy to navigate- very well signposted and easy to understand. There is a whole load of travel options - tram, bus, metro, funicular and electric bus - and best of all they are all interrelated so your tickets work on all of them. You can either buy on a bus but it is cheaper to buy in bulk. You can buy a one trip ticket (good on multiple forms of transport as long as it is continuous for 2 hours max) or a day trip (there's other options but those are the most common). The big square in the centre of the Presqu'ile is a really important place in Lyon. This is a good base to walk up through the shopping streets to Hotel De Ville and then up to the Croix Rousse. Plus there is a Tourist Information box here to grab your maps. If you want to read my post on exploring Lyon and the Bellecour area you can click here. This square is behind the Opera House at Hotel De Ville and it is worth a wander through. The 6th district is traditionally the "posh" area of Lyon and is really pretty. It also homes Parc De La Tete D'Or which is one of the biggest urban parks in Europe (according to Wiki). 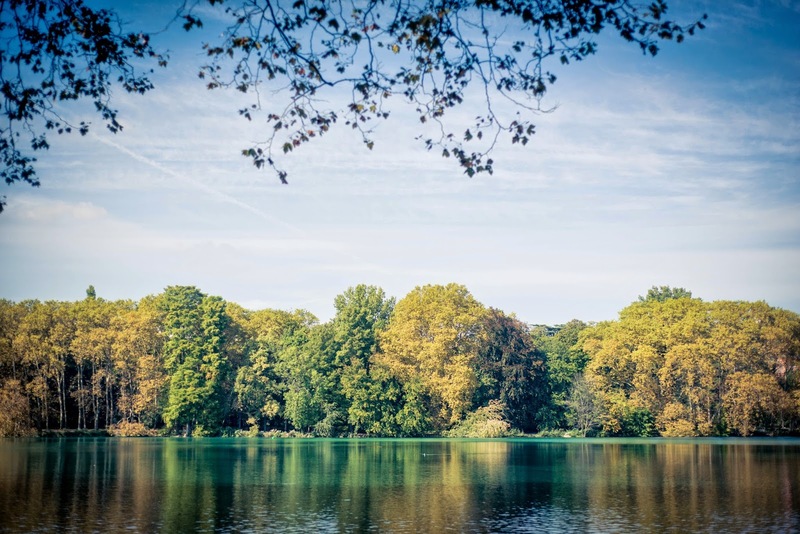 The parc is so beautiful, there's so much to do and great for kids. There is an English Rose Garden, a lake to walk around (or row on) and even a free zoo to wander around. The Parc is Matty's favourite thing about Lyon EVER. While you are there is also a good cinema in the Cite International and INTERPOL's global HQ right next to the park if you are into those things (everyone is into cinema but only politics buffs will be into INTERPOL I think). If you go to the cinema then you should look for films with VOST or VOSF written next to them for English films. For my post on Parc de La Tete D'Or click here. For the best view of Lyon head up the funicular from Vieux Lyon (Old Lyon) in the 5th to the Basilique at Fourviere. It is absolutely stunning and the architecture is beautiful as well. 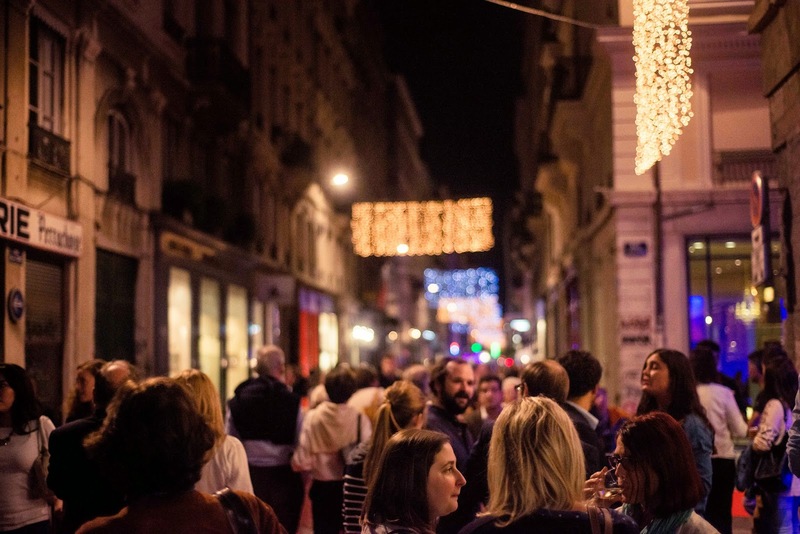 Speaking of Vieux Lyon, you must visit the old district! It is very historic, lots of fun to look around and shop. Although be aware of potential tourist traps of expensive meh food. If you want to see a beautiful Vieux Lyon photo diary you can click here. If you head up the other funicular you can go to the real life Roman Amphitheatre which is definitely worth a visit! It is so well preserved and nice to chill out on. If you have kids DEFINITELY bring them here, but also bring some plasters, sun cream and water. They will run over the ruins, climbing jumping and having loads of fun! The Fete des Lumieries is pretty much THE biggest event in Lyon- and attracts tonnes of tourists. It is pretty much a massive light festival in memory of when the Virgin Mary [supposedly] saved the city from the plague on the 8th of December and the couple of days surrounding it. It's so much fun and there is some amazing displays to check out. To read my full post on the Fete des Lumieries click here. This is a posh little street on the Presqu'ile which is really nice to walk along. If you are looking for something to do on a Sunday (which can be tricky as most things are closed) you should definitely head to the biggest flea market in the Rhone-Alpes region, it's so so good! If you want to read my full post on the flea market and watch my vlog you can click here. Croix-Rousse is the bohemian/indie/cool area of Lyon- it's essentially the 4th district up the hill from Hotel de Ville. There's loads of things to explore and you can learn about the old silk making trades which made Lyon famous in the past. Now there is no real silk industry the main focus on Lyon is now FOOD. 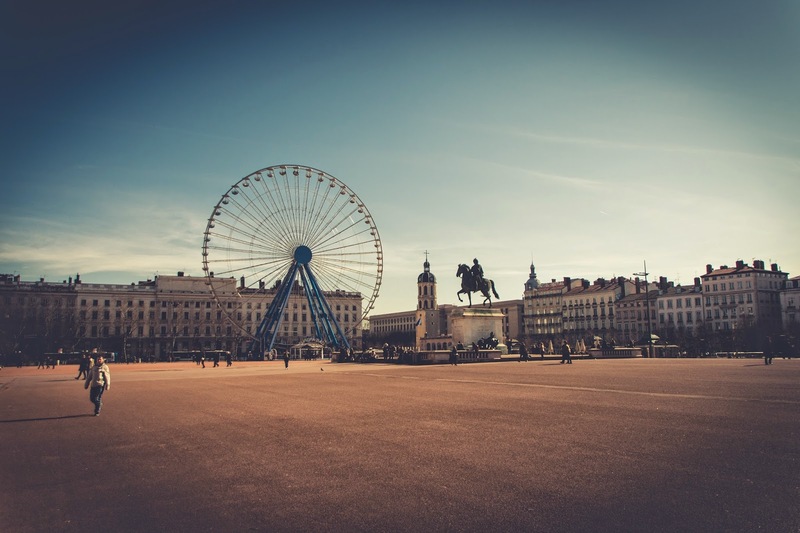 Lyon is known as the gastronomical capital of the world, it churns out tonnes of amazing chefs and there are loads of good restaurants to check out. But before I get into the specifics please note that I haven't included the really fancy places to eat because I only went to one of them and I don't know enough about them to recommend- there are loads of other guides though. As well as all these places I've mentioned you just have to enjoy the delights of French food in general- the chocolat chaux, the baguettes, the PASTRIES! For my French Food post, click here. If you want a truly French buying / upmarket buying experience head to Les Halles. This is super famous because all of the sellers are endorsed by the very famous chef Paul Bocuse. If you want nice foie gras or anything else head here. There are also places to eat here but I don't know how good/expensive they are. This is a fun BBQ restaurant in Croix-Rousse, it is VERY trendy so you must book. Food is pretty good but not a lot of choice. Another trendy option is Mama Shelter (which is also supposed to be a quite affordable trendy hotel/hostel), way more choice and probably nicer than Shack. If you like mozzarella this is your place, I LOVE MOZZATO. It is right in the centre of town and every dish (except desert) is built around beautiful mozzarella. Top tip- everyone pick a different dish and try everything! Must book for dinner, might be okay for lunch. Really nice, pretty affordable for a really nice meal. Typical French cuisine in Croix-Rousse, I went with my Mum on the recommendation of a colleague and it was so good! Very French, lots of locals- definitely book! The best Japanese meal I've had in my life. This is very high-class Japanese presented in a beautiful French way. Pretty pricey but worth it, although if you can get there at lunch it's a really good deal. In the 6th, must must book for dinner. There's loads of trendy/hipster places in Lyon to get a really nice cocktail. My favourites are the Black Forest Society and The Monkey Club, both near Hotel de Ville. Although be warned the drinks will be 10EUR a piece, but that is standard cocktail price in Lyon. For cheaper places you tend to need to look Irish or Scottish (represent). The most popular is Flanigans near Hotel de Ville and The Wallace in Vieux Lyon. If you ever fancy as fryup in Lyon, The Wallace is as close as you're going to get!